The conquest magnet is built around a robust fascia plate for flush mounting on a standard electrical back box. A spring-loaded pin ensures zero residual holding force. 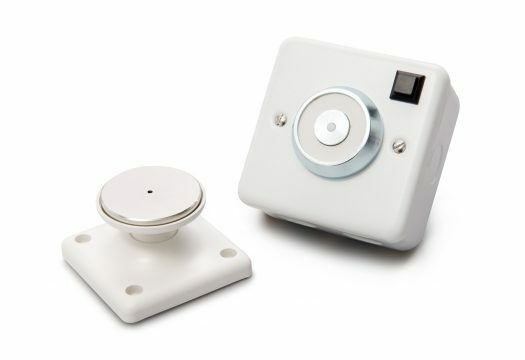 For surface mounting, the conquest fire door holder is supplied with a matching pressed steel surface mount box with 20mm knockouts. The 230 Vac unit includes a filter for EMC emissions. Internal diodes dissipate any “back EMF” on switch-off, reducing wear at the control unit. 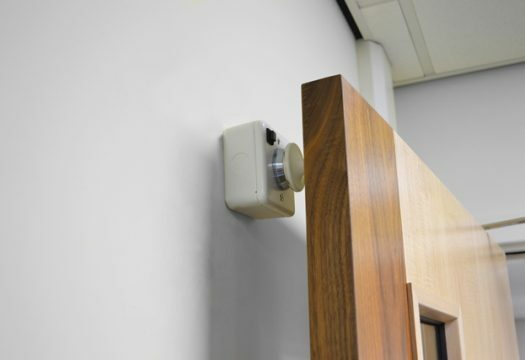 The Conquest fire door holder is fitted with an integral release button and supplied complete with an adjustable keeper plate and instructions as standard.